Tapered equipment affords drillers the ability to change drilling bits whilst still using the same drilling rod. 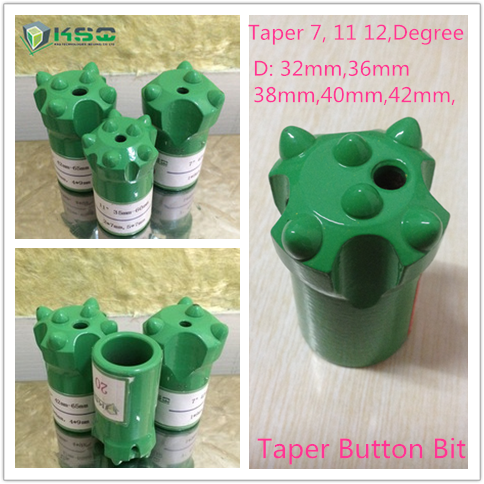 Drillers choose tapered cross type bits if the goal is to minimize hole deviation in small hole range drilling. Different taper sizes have different characteristics when it comes to the “knock-off” index – the smaller angle will prevent the bit from spinning. Used in drifting and tunneling. Shank H19 x 108mm and H22 108mm. 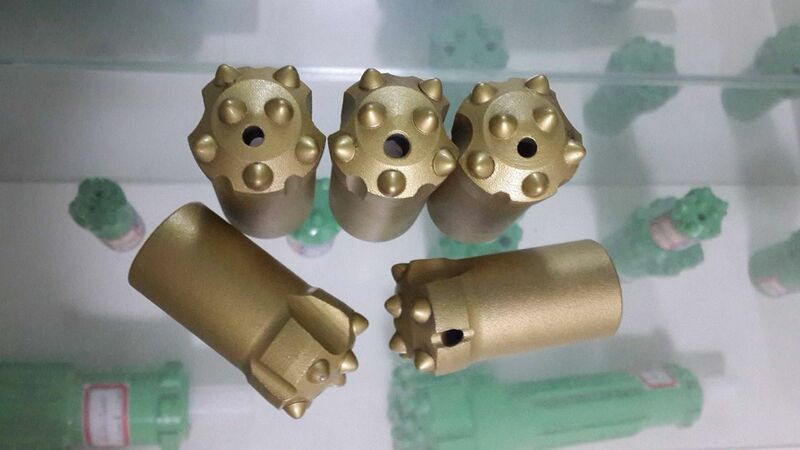 (3) Threaded Rock Drill Tools - button bit, retrac button bit, drop center button bit, dome bit, reaming bit,extension rod, MF-Rod, Hex rod, coupling sleeve, crossover coupling of thread R25, R28, R32, R38, T38, T45, T51, ST58, ST68. (4) Shank Adapters (Striking Bars) - equivalent to Atlas Copco, Sandvik, Furukawa, Gardner Genver, Ingersoll Rand etc. 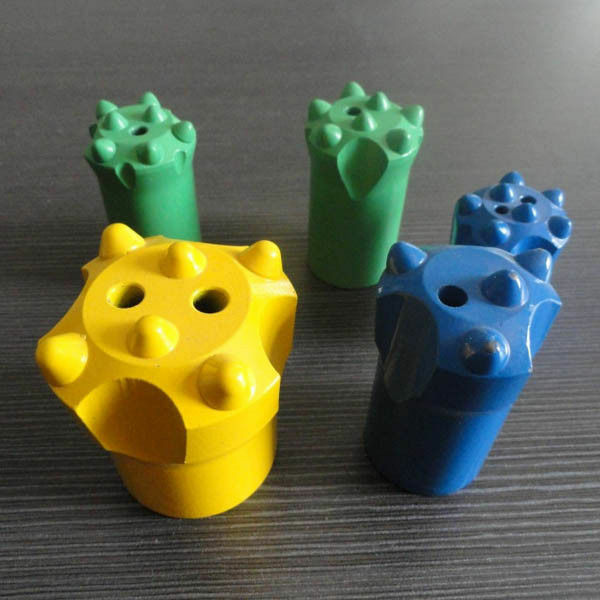 Other products: Tricone bits, PDC bits, self- drilling hollow anchor bar etc. KSQ Technologies (Beijing) Co. Ltd. has significant experience and know-how in the supply of materials, components, finished goods, specially designed/engineered equipment, and services from China. The company caters to medium to large scale clients who are doing projects and capital expansion, as well as to firms who require support with consumable products, maintenance, and repair operations. China Good Quality Rock Drilling Tools Supplier. Copyright © 2014 - 2019 rock-drillingtools.com. All Rights Reserved.